Today is World Humanitarian Day, an annual reminder that we need to act to alleviate the suffering of the 130 million people worldwide who need humanitarian assistance to survive. In the wake of disasters, too many people are ignored by mainstream relief efforts. That is why we focus on supporting local groups helping those who are often left out. We join the UN in recognizing the brave – and in the case of our partners, sometimes unlikely– humanitarian aid workers at the front lines of war, disease, and disaster who deliver aid to those in dire need. When natural disasters and crises strike developing countries, people are left vulnerable in a way that is unimaginable to those who live in developed countries. The people affected are devastated by the loss of friends and family and by being displaced from their homes. The lives they lived literally no longer exist. At AJWS, we respond to these crises by mobilizing financial resources for recovery efforts led by local people and organizations in the affected countries who know how to best assist their own communities. These local actors are not necessarily considered humanitarians, but have deep knowledge of their communities and know best how to respond when disaster strikes. 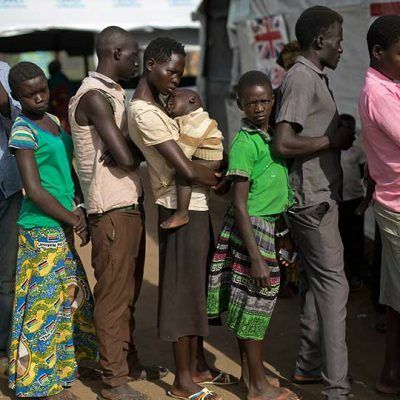 The official humanitarian system does not have the capacity to meet the many demands that arise from disasters and crises, and the system is often limited by external political forces such as a government’s discriminatory aid policies. 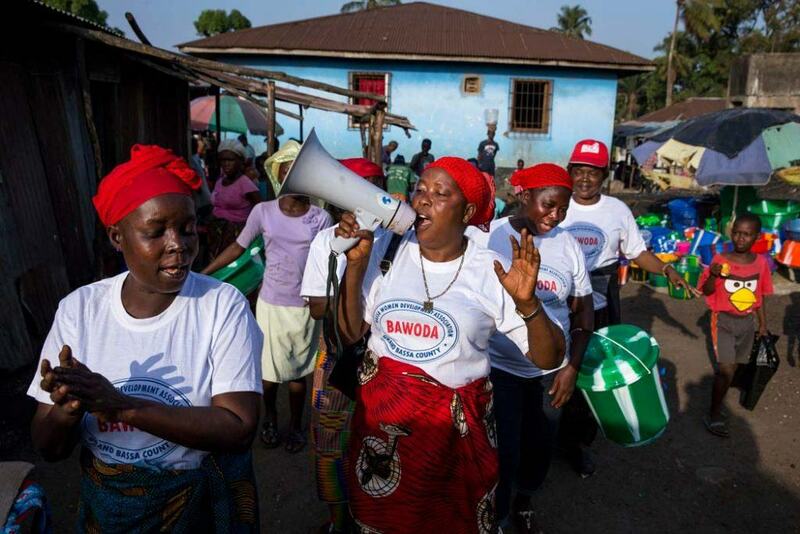 We prioritize support for local, grassroots groups that work to meet the unique needs of people who are ignored in the wake of disasters, including women, the elderly, ethnic minorities, LGBTI people, and people living with disabilities. Check out the photos below to learn about the activists and organizations that AJWS has supported who bravely deliver aid to those in need, and continue to rebuild their communities for the future. “Helping people help themselves,” is the motto of Citizen’s Disaster Response Center (CDRC).“ For over 30 years, CDRC has been promoting community-based disaster management in the Philippines, and as such CDRC is deeply rooted in the communities and partners with whom it works. After Typhoon Haiyan destroyed many provinces of the Philippines in 2013, AJWS supported CDRC to partner with the South Tagalog People’s Response Center (STPRC) to provide immediate relief and repair support in Coron, Palawan. After this initial work of relief distribution, AJWS continued to support CDRC to rebuild homes, farms and community structures, as well as to provide psychosocial and mental well-being services. And even as the emergency subsided, CDRC continued to conduct disaster resilience and prevention activities such as food security projects, basic first-aid trainings, hygiene and sanitation trainings. 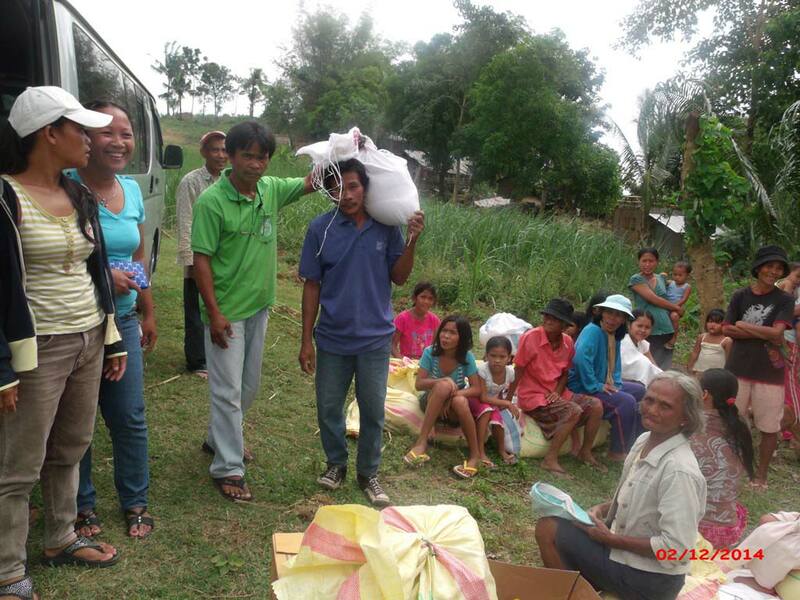 Pictured above are CDRC members sorting through an aid delivery. Sengedag Service Society (SSS) is a nonprofit organization that supports the needs of Tibetan nuns and monks living in Nepal, who fled from Tibet to escape extreme poverty and persecution. These nuns and monks now reside in nunneries and monasteries in a remote, rural community in Nepal. The earthquakes that struck Nepal in 2015 destroyed all 207 homes in the nunnery. Despite having lost their homes and access to the supplies they needed for survival, the nuns and monks in this community have been entirely overlooked by the Nepali government’s assistance programs. SSS provides food, livelihoods, shelter and medical care to 224 nuns and 62 monks in the remote Bakhang and Liping communities in the Sindupalchowk District. With AJWS support, SSS is collaborating with the Hunnarshala Foundation—which has the technical knowledge and experience in large-scale construction projects—to build 60 earthquake-resilient, stone containment homes using locally-sourced materials and craftsmanship. This grant also supports the construction of a 27-kilometer road that will bridge the gap from the highway to the nunnery, which assist the delivery of rebuilding materials and reduces the historic isolation of this community. 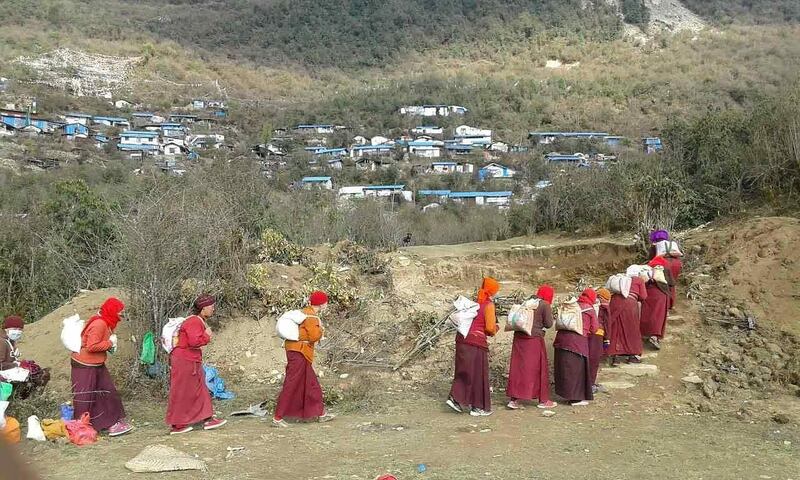 Pictured above are nuns from the Sengedag Service Society (SSS) carrying materials that will be used to rebuild their homes and spiritual centers which were destroyed by the earthquake in Bakhang.